Justin Upton is making a solid case for himself for National League MVP, if he keeps up his current production, that is. Both Justin and his older brother B.J. were sent to Atlanta before the season, while Justin has continued his success, B.J. is batting a sub-500 OPS, in other words, less than half of his brother's. 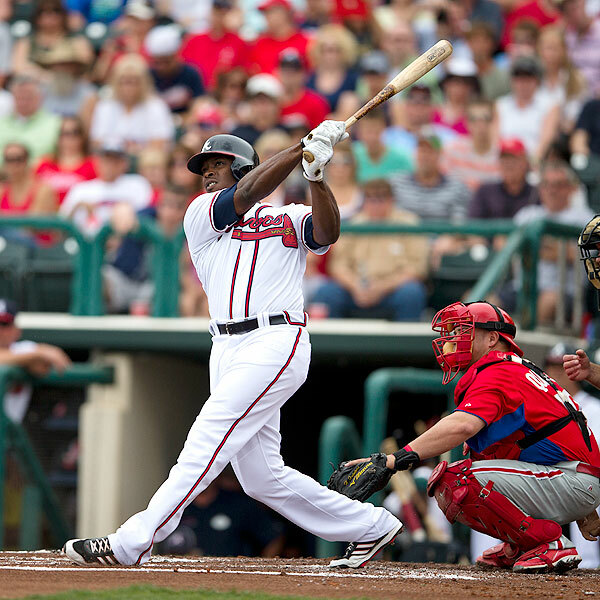 You can also argue that, without Justin Upton, the Braves would not be close to where they are now. Oh and, he is only 25... so he isn't in his prime yet.